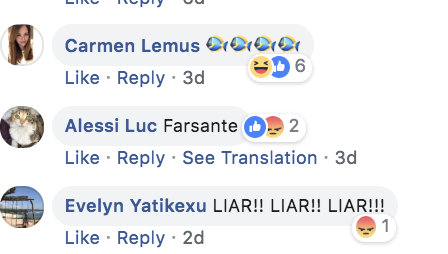 Yovana "Rawvana" Mendoza's vegan fans are livid and are spamming her social media pages with fish images and emojis. A vegan YouTuber who's built a large and devoted fanbase is under fire after fans allegedly found footage of her eating meat. Yovana Mendoza, a 28-year-old influencer who's known as Rawvana online, was featured in another vlogger's video last week for a split second with what fans believe was a plate of fish in front of her. Fans also noted that she looked noticeably embarrassed and caught off-guard when the camera panned over to her. The Rawvana brand and personality has nearly half a million subscribers on YouTube and 1.3 million followers on Instagram. Her website boasts about "reveal[ing] your authentic self" and urges followers to "eat an abundance of delicious fruits and veggies." After rumors began swirling, Mendoza published a 33-minute video on her YouTube channel on Friday attempting to explain the incident. Titled "THIS IS WHAT IS HAPPENING," Mendoza walks through her journey to discovering veganism, the impacts it's had on her overall health, and, ultimately, why she was forced to recently abandon the diet. "I was vegan — completely vegan for almost 6 years," she said. "It's been two months since I started incorporating eggs and fish in my diet." The YouTuber began the video by stating the she "just want[s] to be completely honest and authentic and truthful" to her fans. She explained that in her adoption of a raw vegan diet years ago, she also decided to do a 25-day water fast. She said after the extreme diet, "something wasn't going right" with her body, and she began to lose her menstrual cycles. She then incorporated salt, fat, and some cooked food back into her diet, she said. However, in late 2017, her period was still spotty and she was "physically getting more tired," so doctors recommended she incorporate more nutrients and supplements. "I began to change up my diet," she said. On top of taking testosterone and thyroid medication, she claimed her doctors strongly recommended she eat eggs and meat to improve her health. "I decided to put my health first ... That's exactly why I hadn't shared it with you. For me, it's still an experiment," Mendoza said. She added she felt a lot of "shame" that she was eating animal products, like eggs and fish, again. The YouTuber concluded her video by saying she "want[s] to be stronger in [her] voice and what [she] believe[s] in," and that by eating eggs and meat, she is practicing self-love. Mendoza did not immediately return requests for comment from BuzzFeed News. After her video was published, fans were still not satisfied. In fact, backlash only grew. Many are not convinced that this narrative was entirely genuine or accurate. Some are calling to "cancel" her completely, and hashtags like "#fishvana" are being created to discuss the controversy and ridicule her. On her Instagram, people were quick to spam her comment sections with fish emojis. Some went as far as creating entirely new accounts under a "fish" and "Rawvana" name to do so. "Fake!!!" some are writing on her latest instagrams. "Fish and chicken killer!" someone wrote on an Instagram from earlier this month. 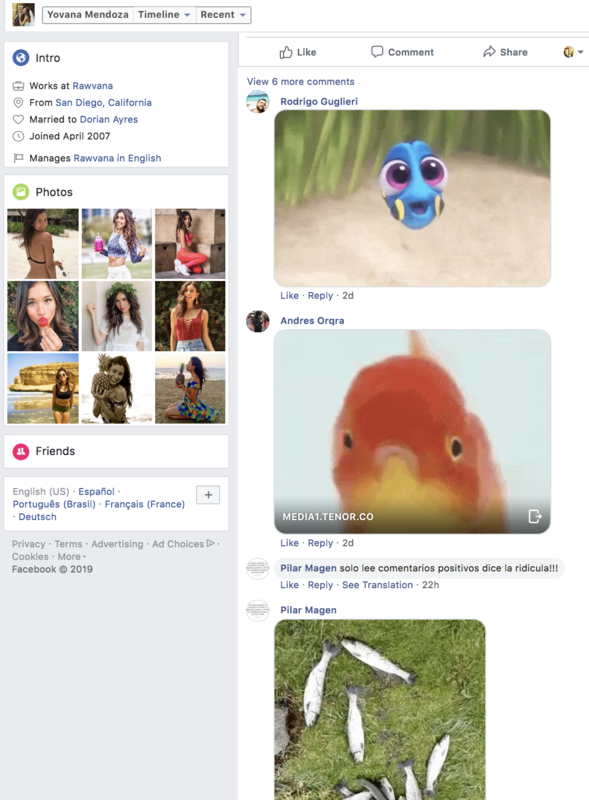 People are also trolling her with fish GIFs and images on her personal Facebook page. Many vegans are accusing her of exploiting the lifestyle and damaging its reputation in the process. "I'm not mad at the fact that you're eating fish. I'm mad at the fact that you're lying to all your followers and making money off of them claiming to be a raw vegan," someone wrote.